I have a really fun post for you guys today! Earlier this week I shared my first of a few holiday gift guides that I have put together with my top gift picks. 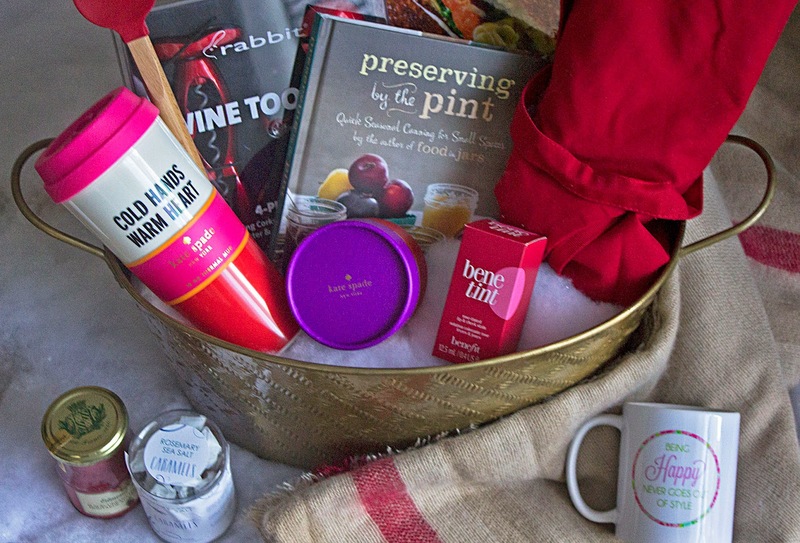 But, how about finding out what's on the 'must gift' list for other bloggers too? Better yet, how would you like to win each of those items too? Well, you are in luck today! I have teamed up with several other members of the Windy City Blogger Collective to bring you an amazing holiday gift giveaway. 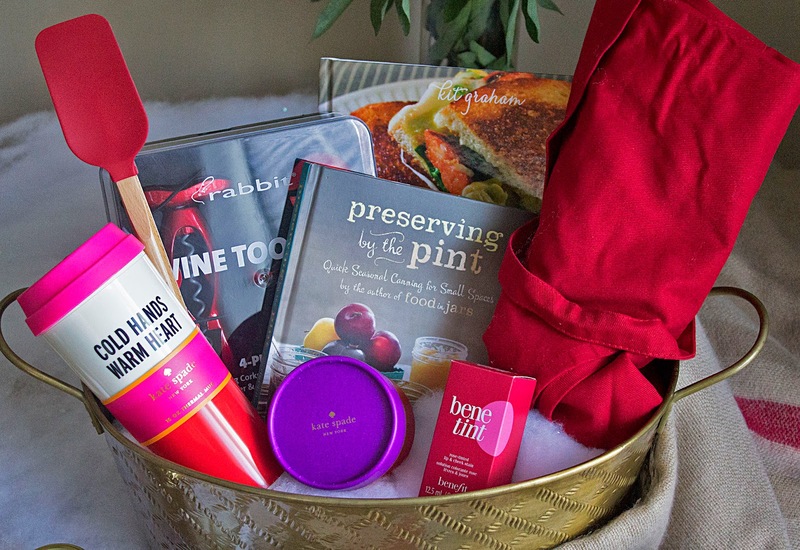 This For the Holiday Hostess gift basket has everything you need whether you're hosting a holiday event or attending one-- from hostess gifts to kitchen tools to a few items to help you look your holiday party best, these bloggers have you covered! Scroll on down for a full list of all of the items, some more info on each of the bloggers that selected them, and to enter for your chance to win! 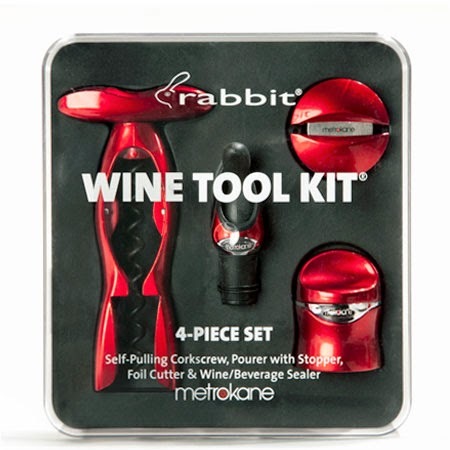 I chose this awesome Rabbit 4 Piece Wine Tool Kit as my contribution to this basket because it's the perfect gift for wine experts and novices alike. It includes a foolproof foil cutter, a self-pulling corkscrew (because let's be honest, cork pulling can be a disaster), a pourer with stopper, and my favorite item of all: A bottle sealer. I own about 6 of these little guys and have thrown out most of my other decorative bottle stoppers as a result. They seal wine bottles so seamlessly that they don't spill if you store your bottles sideways, they stay fresher longer, and best of all-- you can even preserve your bubbly! The whole thing is packaged in an easy-to-store lucite case and I selected a set in this super festive metallic red shade for you too! Use the Rafflecopter widget below for several chances to enter and win! Thanks, Jillian-- so much good stuff to win! Thanks, Lena! So happy to be a part of it!